Norwegian today launches the UK’s first low-fare flights to Brazil with a brand-new direct route from London to Rio de Janeiro. Consumers can now book the most affordable nonstop flights to Brazil from £240 one way. Four weekly flights will operate on Monday, Wednesday, Friday and Sunday using Boeing 787-9 Dreamliner aircraft. Norwegian is pleased to announce that from 31st October 2018 the airline will launch a new twice-weekly service from London Gatwick to Tampa – Florida. Norwegian, voted world’s best low-cost long-haul airline, continues its global expansion today by launching its first route from London Gatwick to Asia with a special Singaporean themed celebration to mark the carrier’s inaugural flight to Singapore. Airline grows US network with two exclusive routes from London Gatwick Norwegian is expanding its trailblazing long-haul network by launching the UK’s cheapest direct flights to Denver and Seattle from just £179 one way. 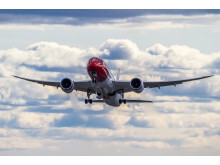 Low-cost airline Norwegian reveals the exciting new visitor attractions in Denver, Colorado and Seattle, Washington as the countdown begins to the airline’s two new USA routes launching at London Gatwick next month. 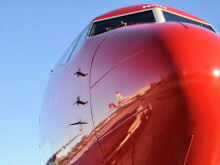 Low-cost airline Norwegian has put on sale an increased number of low-cost flights from Edinburgh this summer including the return of its newest route to Barcelona from £34.90. 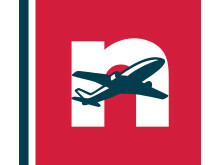 Norwegian continues to expand its route network from London Gatwick by launching four new routes to Madeira, La Palma, Grenoble and Salzburg this winter. In addition, it increases the number of weekly departures on three other routes. 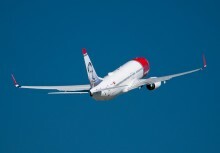 Norwegian continues to expand its route network from London Gatwick by launching two new routes to Warsaw and Berlin. In addition it increases the number of daily departures to Copenhagen.